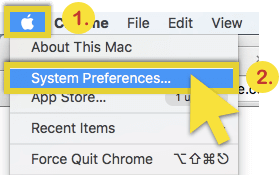 Need a VPN for Mac? 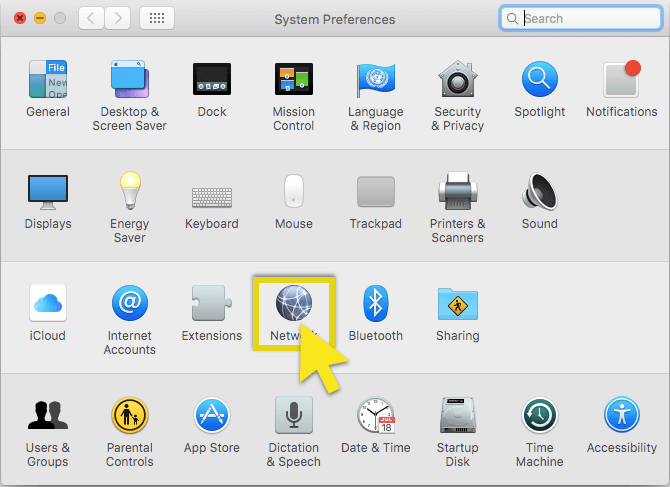 This tutorial will show you how to set up MediaStreamer on Mac. Note: If your IP address changes, you will need to sign in and register your IP address with ExpressVPN again. 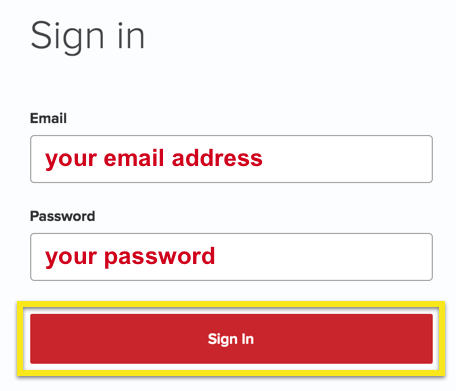 Sign in to your account using your email address and password. Go to the DNS Settings tab after signing in. Enter your IP address, select Automatically register my IP address (this is recommended so that you don’t have to manually register your IP again even if it changes), and then click Register my IP address. 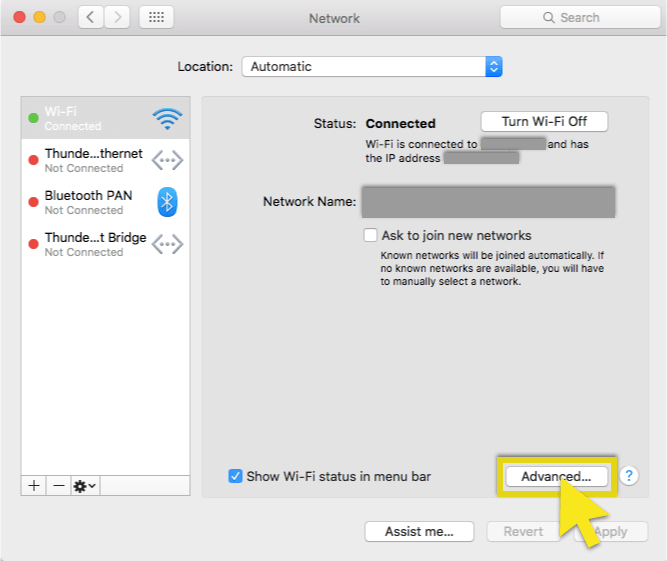 In the System Preferences window, click on Network. In the left-hand navigation bar, select the connection through which you connect to the internet and click Advanced. Select the DNS tab. Then, under DNS Servers, select and remove (-) existing addresses. Finally, add ExpressVPN’s MediaStreamer DNS server address. Your screen should look like this: Click OK. Restart your computer and try connecting again. To find ExpressVPN’s MediaStreamer DNS address, sign in to your account, click on Set Up ExpressVPN on the Active Subscriptions page, then select the MediaStreamer section on the left side of the screen. Copy the IP address you see on the right side of the screen. Note: In the “TCP/IP” tab, please ensure IPv6 is set to Off. 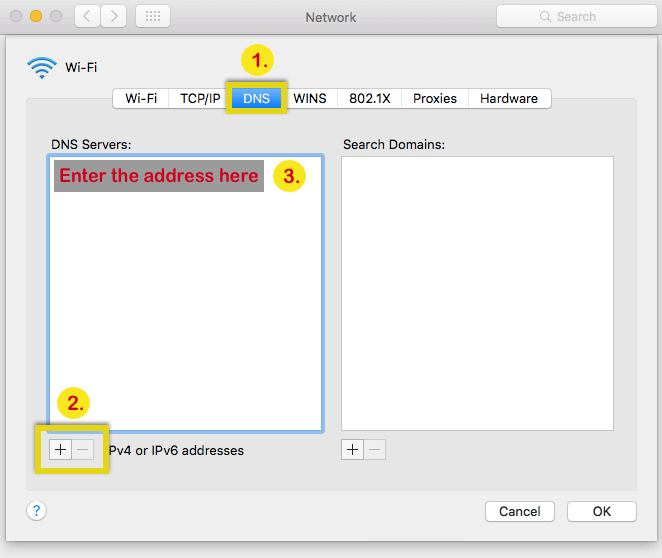 Tip: Please take a note of your original DNS server settings in case you are required to revert to those settings.